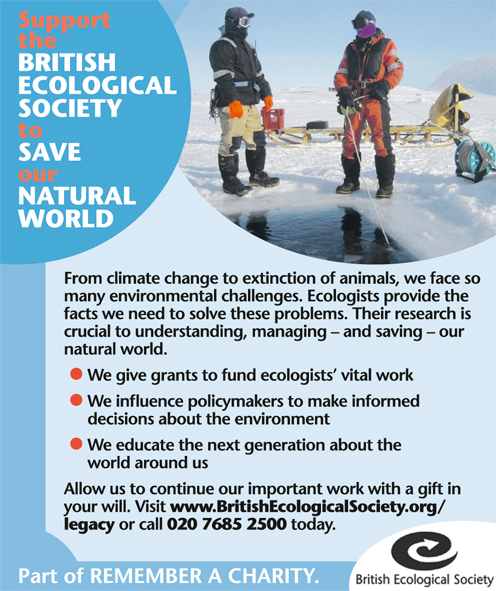 In summer 2011, the British Ecological Society had the opportunity to place a quarter-page advert in a Daily Telegraph ‘Remember a Charity’ supplement asking for legacy donations. The commissioned me to write the copy for and direct the design of the advert. To produce an advert that, despite being small in size and surrounded by similar charity adverts asking for legacies, stood out from the crowd and made readers donate. I worked to understand the audience for the advert, before producing very concise, yet impactful copy. I then worked with a designer to create colourful design to make the ad leap off the page. 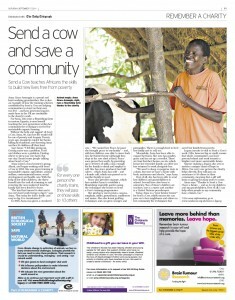 A bright, bold advert with captivating copy and design to convince Daily Telegraph readers to take action.